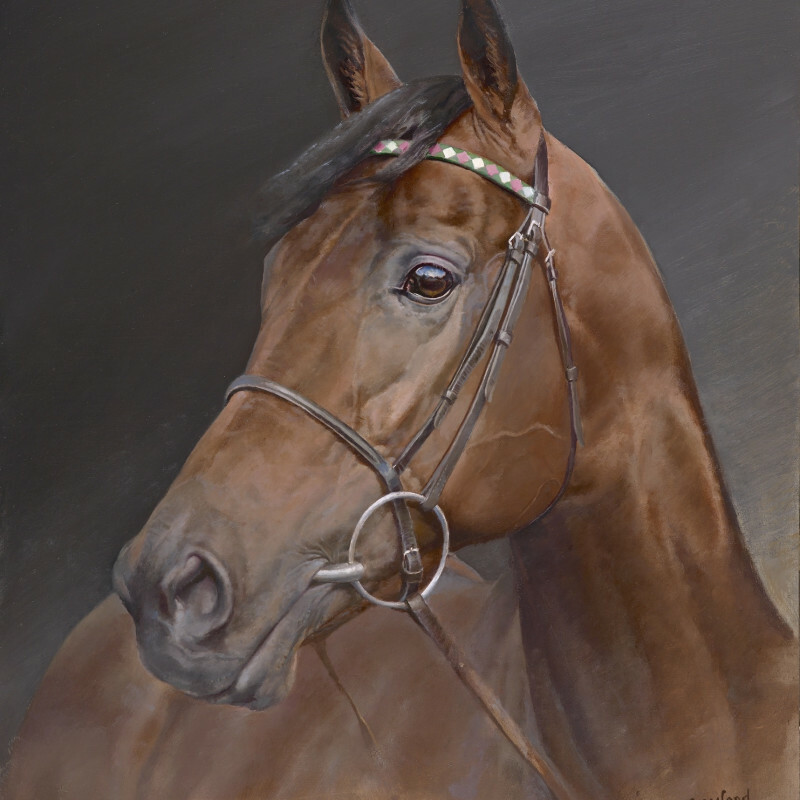 Equestrian and portrait artist Susan Crawford was born in the Scottish district of East Lothian. Her father was a racehorse trainer and she grew up on the family farm, inheriting her parent's affinity with horses and the countryside and learning to ride when she was only a toddler. She spent two years at the Florentine drawing school of Signorini Nera Simi but is an entirely self-taught painter, using a classsical old master technique of applying oil in thin glazes. Greatly inspired by classical horse painters George Stubbs and Sir Alfred Munnings, she is widely recognised as one of the most accomplished realist animal painters working in Britain today, with a fantastic ability to blend detailed observation with mood and immediacy. Susan Crawford has exhibited at a number of distinguished galleries throughout the world, including The National Portrait Gallery, The Royal Academy of Arts, The Tryon Gallery, London and The National Gallery of Pahang Penang, Malaysia. Her most recent one-man show took place in 2001.